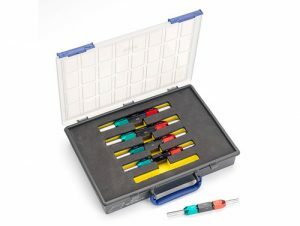 Suites of gauges are often used for a dedicated manufacturing programme, necessitating a dedicated storage medium. YPG offer a bespoke box/case supply service utilising sturdy plastic boxes/drawers. The boxes come in differing depths dependent on the gauge diameters. The box is foam lined with cut-outs for each gauge, if required the lid of the box can marked with unique identification and/or the gauge details. 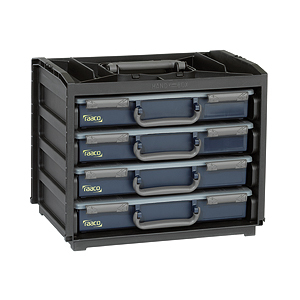 Single, stand-alone boxes can be supplied, or multiple boxes housed in a single carrying case.